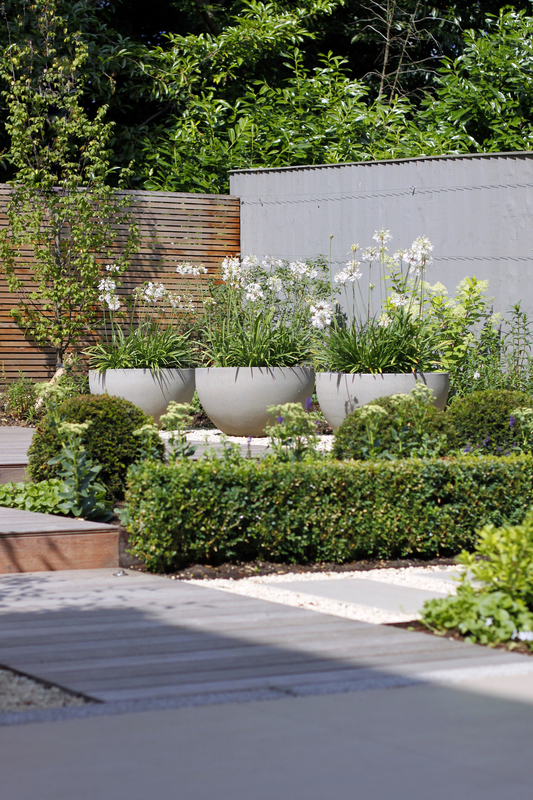 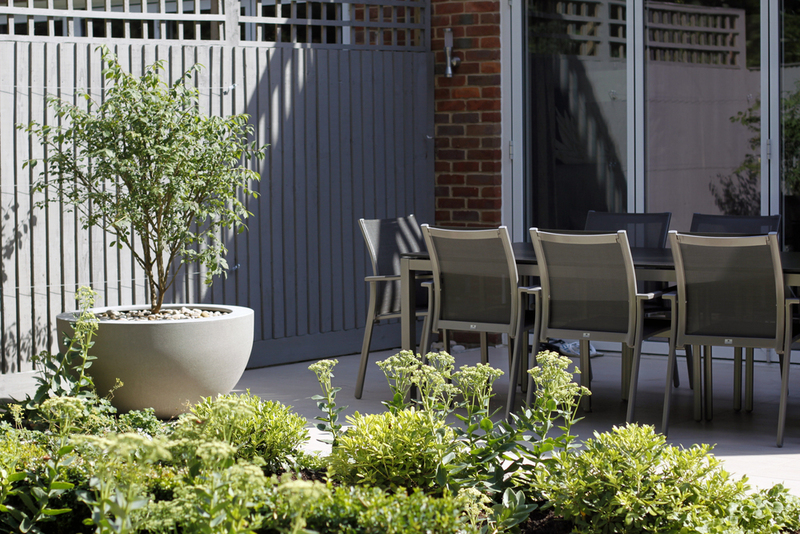 This modern garden design in Beaconsfield, Buckinghamshire was designed for clients looking to create a clean, simple space that would be useable year round, look beautiful from the interior and become an extension of their home. 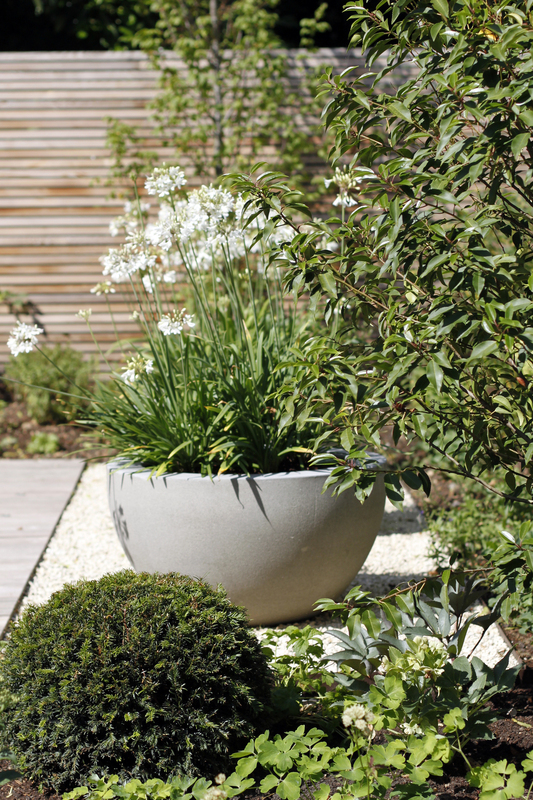 The classic townhouse had a warm, contemporary interior and we continued this feeling out into the garden leading from an existing porcelain terrace. 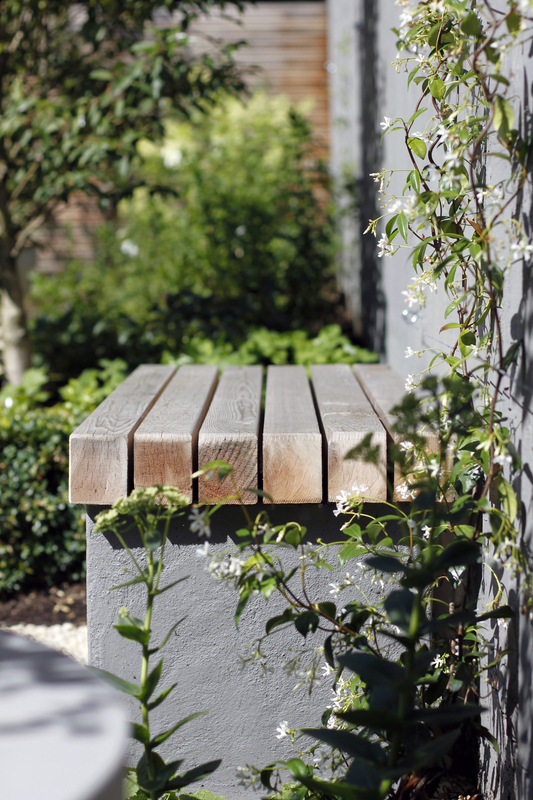 A new hardwood terrace was created with a central, bespoke polished concrete fire-table surrounded by relaxed L-shaped sofa seating to extend the use of the garden into the evening. 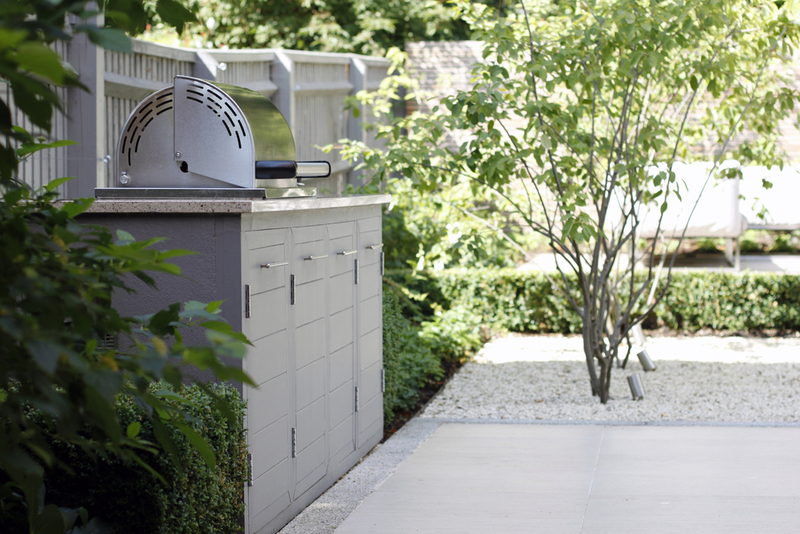 The addition of a built in barbecue unit along the existing terrace invites outdoor cooking and dining close to the house.